Featuring 41,689 performances in 258 venues, the 2011 Edinburgh Festival Fringe programme was released today with tickets for all shows going on sale tomorrow morning at 8am. True to form this year’s Fringe is bigger than ever before, with live comedy representing 37% of the 2,542 shows published in the Fringe 2011 brochure. The increase in size is alongside a number of shifts in the Fringe landscape from venues to content. For the first time the Fringe programme has a dedicated cabaret section, reflecting the growth of this increasingly popular genre at the Fringe. Cabaret joins comedy, theatre, dance and physical theatre, events, exhibitions, children’s shows, music, musicals and opera taking work to new and exciting places across the city of Edinburgh in August. New for 2011, the BBC host a venue at the Fringe. The [email protected] will be home to some of the corporation’s Edinburgh staples. The ever popular Just A Minute returns, as does BBC Scotland’s MacAulay & Co and Off the Ball. Ricky Gervais will be appearing in a Q&A with Warwick Davis to discuss their new TV show Life’s Too Short, and David Mitchell returns with The Unbelievable Truth. Radio 1’s Scott Mills will be returning to the Fringe alongside a whole host of Radio 1 favourites including Nick Grimshaw’s late night show broadcast live from the BBC’s new Edinburgh tent. Fringe institution Late ‘n’ Live celebrates its 25th year. The show, once described by Jo Brand as ‘Edinburgh’s infamous English comic-baiting version of The Coliseum’ is to be the subject of a BBC documentary to be broadcast in the autumn. C Venues are celebrating their 20th birthday with a programme of over 110 shows and by moving into the Edinburgh College of Art. PBH’s Free Fringe and Laughing Horse’s Free Festival return alongside a host of other free non-ticketed events which will take over pubs and bars across other city. A host of top names in comedy also return to Edinburgh in August. Sarah Millican returns with her new show Thoroughly Modern Millican at Assembly – which is also the venue for Al Murray’s Compete for the Meat. And fans can see Ed Byrne: Crowd Pleaser at the EICC. Fringe favourite David O’Doherty will be at the Pleasance with David O’Doherty is Looking Up. Peep Show and White’s Isy Suttie brings Pearl and Dave (Pleasance), Ruby Wax offers Losing It (Underbelly). Kristen Schaal of Flight of the Conchords, Daily Show and Penelope Princess of Pets fame, returns with Kurt Braunohler in Hot Tub with Kurt and Kristen. Cult comedy fans can see Tim and Eric performing at Assembly. Richard Herring will also be back at the Fringe for his 24th year, with brand new show What is Love Anyway? (Underbelly). 2011 also sees a new show from Phill Jupitus with Phil Jupitus: Stand Down at The Stand, alongside Have I Got News For You and The Now Show’s Mitch Ben and TV and film’s Omid Djalili: Work In Progress. Comedians’ comedian Stewart Lee will by trying out new work also at The Stand in Stewart Lee – Flickwerk 2011. Work In Progress. Up-and-coming Scottish comedian, and winner of last year’s So You Think You’re Funny, James Kirk comes back to the Fringe as part of Gadd, Kirk and Winning: Well, This Is Awkward at Bannermans. 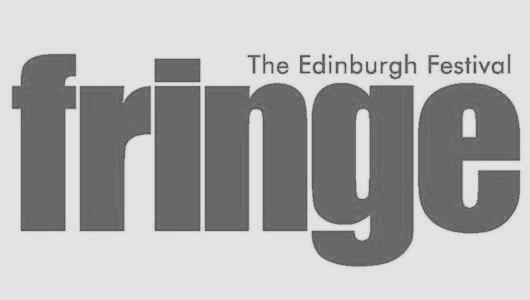 Kath M Mainland, Chief Executive of the Festival Fringe Society, said: “I am delighted to announce that the 2011 Edinburgh Festival Fringe programme is bigger than ever featuring 2,542 different events. I know there will be people from all across Scotland, the UK and the world receiving their Fringe programmes and getting excited about coming to Edinburgh in August to see work of every type from all around the world. The full Edinburgh Festival Fringe 2011 programme can be viewed here, and tickets for all shows are on sale tomorrow at 8am from the Fringe website. Tickets can also be purchased over the telephone.